Zanzee presides over one of the most dangerous kingdoms in the fairy tale world of Red Snow. Susiname is a land of giants, trolls and other monsters. He is physically strong and is rarely found without his elite Okoje Guard by his side. 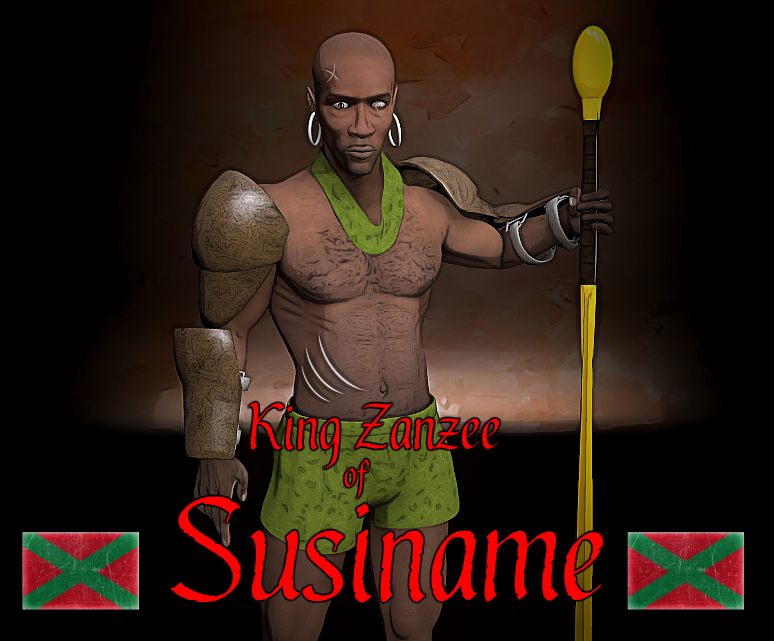 Killing his three brothers and his sister after their father died Zanzee is no stranger to the importance of keeping enemies of his crown at bay. The red sash around his neck has been passed down for generations. It is the regal symbol of Susiname and Zanzee will protect it to the death. Susiname has no alliance with the other kingdoms but will join the fight for enough gold. Subscribe to the page for more images, news and stories from the fairy tale world of Red Snow. The fifth anniversary edition of Red Snow is coming this September.